Both carry-on and checked baggage allowances for the main airlines flying within Europe differ from airline to airline. Sizes and weights of allowed bags vary, as do the charges the airlines impose. It’s important to read each airline website carefully because, in addition to baggage allowances and charges, there are some airline-imposed processes and rules that the traveler may not be aware of. Some airlines allow you to combine the weights of checked luggage for all those traveling in the party and some do not. Carry-on pieces should fit in the size-check device located at the airports. In general, it is recommended that when measuring your bag, you include the wheels and handle. Softer bags will sag in the middle, which may make it difficult to get the bag into the frame at the airline counter, too. So while your bag may fit in the frame, the extra inches of the handle or the side bulge of a soft bag might mean the airline will ask you to check the bag (and pay the checked bag price). Most airlines will ask you to gate-check your carry-on if the airplane’s bins are full. Each airline has different regulations and rules for checking baby equipment, mobility equipment, and sports gear. It is important to read each airline’s website carefully for the details. The European Aviation Safety Agency lists items you cannot bring aboard and the rationale behind the regulations. In general, carry-on baggage cannot contain liquids larger than 100 milliliters (approximately 3.5 fluid ounces). Larger amounts of liquid should be packed in your checked luggage. Most airlines have a requirement that "smart luggage" (luggage that can recharge your devices, has GPS tracking, etc.) will only be accepted as a checked bag or hand luggage if the lithium batteries are removed. The passenger must carry the batteries separately in the cabin. Some airlines have a regulation regarding certain cellphones and lithium batteries. Just like with the TSA in U.S. airports, there are items that are not allowed such as handguns, pepper spray, knives, and more. The European Commission on Transport has an extensive list covering what you can and cannot have in your checked luggage and what you cannot bring past a security checkpoint. British Airways, which charges a little more for tickets than comparable airlines, has a generous cabin luggage allowance letting you bring a bag measuring 56 x 45 x 25 centimeters (22 x 17.7 x 9.8 inches), as well as one handbag, camera bag, or laptop bag. 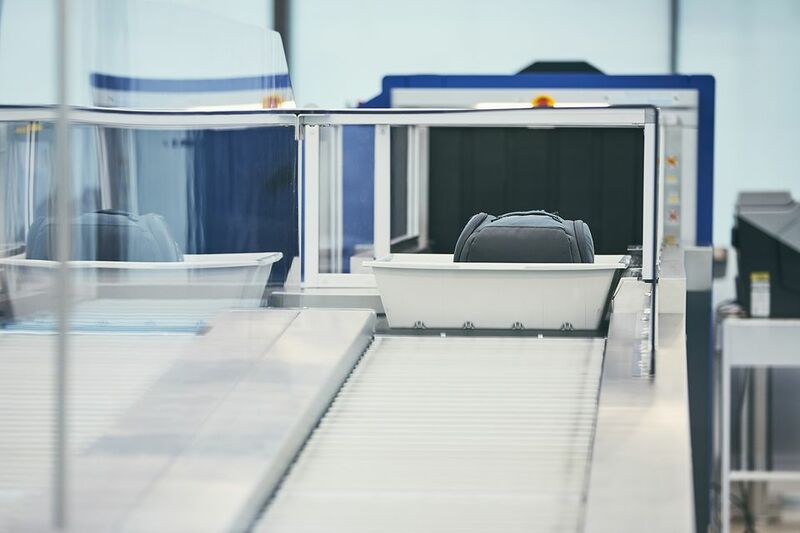 They also let you check one bag into the hold for free but the measurements cannot exceed 90 x 75 x 43 centimeters (35.4 x 29.5 x 17 inches) and not weigh more than 23 kilograms (50.7 pounds). Going over the baggage allowance will incur a charge which is reduced somewhat by purchasing online prior to your trip. Iberia also gives a free checked baggage allowance of 23 kg (50.7 pounds) like it's sister company, British Airways, but a far less generous size allowance with a total of 158 centimeters (62.6 inches) by measuring length + height + width. Iberia’s carry-on bag policy allows for one bag measuring not more than 56 x 45 x 25 centimeters (22 x 17.7 x 9.8 inches) and a smaller bag like a handbag or laptop bag which must be stowed under the seat in front of you. If the overhead bins are at capacity the cabin crew will gate-check your carry-on bag. The larger piece should fit in the size-check device located at the airport and you must be able to lift them into the overhead bin by yourself. There are some exceptions including flights that originate in the U.S, flights too and from London, and some flights connecting with other airlines. Easyjet has by far the most generous hand baggage dimensions and weight allowance for a budget airline in Europe. EasyJet allows 56 x 45 x 25 centimeters (22 x 17.7 x 9.8 inches) and does not weigh your cabin bags. "Flexi," "Upfront," "Extra Legroom" customers and "EasyJet Plus" cardholders can bring an additional under-seat bag like a laptop bag or handbag. The size cannot exceed 45 x 36 x 20 centimeters (17.7 x 14.2 x 7.9 inches). Bags must be placed under the seat in front of you. Easyjet also has the cheapest checked allowance of any budget airline, a flexible baggage size (length, width, and height must add up to no more than 275 centimeters or 108 inches) and a good weight allowance of 20 kilograms (44 pounds). Jet2 also has the larger hand baggage allowance of 56 x 45 x 25 centimeters (22 x 17.7 x 9.8 inches) but with a weight limit of 10 kilograms (22 pounds). Checked Luggage can include up to three 22-kilogram (48.5 pounds) cases. Size is unspecified. This is per person. Those traveling together can combine their luggage. It is up to 50 percent cheaper to pay ahead for your checked luggage online compared to paying at the airport. Checked luggage is more complex. The basic allowance is one item of hold luggage not to exceed 23 kilograms (50.7 pounds) in weight. No size is specified. Their largest checked baggage allowance enables you to carry 2 items of hold luggage up to a combined total weight of 46 kilograms (101.4 pounds) with no size specified. The “Get More” and “All In” ticket classifications allow the extra bag. Depending on the type of ticket purchased, luggage charges vary. Flybe adds that there can be variations to hold luggage allowances depending on routing or the operator of your flight. Carry-on luggage allowances with Ryanair are related to your ticket status. If you are a Ryanair Priority Customer you can bring on two carry-on bags; one 10 kilograms (22 pounds) wheeled bag and 1 small bag, at no charge while non-priority customers can bring one free (small) carry-on bag. As of November 1, 2018, non-priority customers who wish to bring wheeled bag not to exceed 10 kilograms (22 pounds) weight on board must pay extra and the 10-kilogram (22 pounds) wheeled bag must be taken to the airport bag drop desk prior to entering security. Each passenger can purchase up to three checked bags of 20 kilograms (44 pounds) each. The checked luggage charges vary according to whether or not you book online and the time of year you are traveling. Holiday periods will cost more for checked luggage. The pooling or sharing of baggage allowances is permitted with others included on the same flight reservation when checking in together. Vueling allows one piece of carry-on luggage no heavier than 10 kilograms (22 pounds) and no larger than 55 x 40 x 20 centimeters (21.6 x 15.7 x 7.9 inches). You can also carry another smaller bag measuring no more than 35 x 20 x 20 centimeters (13.7 x 7.9 x 7.9 inches) and one additional bag containing purchases made at the airport. The smaller bags must both fit under the front seat. Each passenger can check in a maximum of 3 bags, weighing up to 23 kilograms (50.7 pounds) per bag. Fees vary. Customers flying with Thomas Cook Airlines receive a complimentary carry-on baggage allowance of 6 kilograms, or 13.2 pounds, (10 kilograms, or 22 pounds, for Premium Class customers). You can take one piece of hand baggage up to 55 x 40 x 20 centimeters (21.6 x 15.7 x 7.9 inches) in size. In addition, customers can bring one small item (purse, laptop, an umbrella for example). Thomas Cook flies all over the world, with different allowances on different routes. To be sure of the price and dimensions for your particular flight, check their website. TUI allows one piece of hand luggage weighing up to 5 kilograms and with maximum dimensions of 55 x 40 x 20 centimeters (21.6 x 15.7 x 7.9 inches). On some flights, the allowance goes up to 7 kilograms (15.4 pounds). If you have a smaller item with you like a purse, it must fit within the one allowed bag. You must be able to lift your hand luggage into the overhead storage bins yourself. TUI Airways allows checked luggage up to 15 kilograms (33 pounds) in weight on their package holidays. Certain types of holiday come with a bigger allowance of 20 kilograms (44 pounds). You can pay for additional luggage. You’ll have the option of upgrading from the standard luggage allowance while you are booking, or by using their Flight Extras website if you've already booked.